Please reach out to the Mayor’s Center for City Services with any concerns or questions. 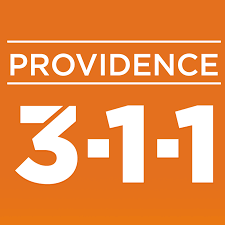 You may call to connect by dialing 3-1-1 or download “PVD311” on your smart phone for 24/7 access. For emergencies, please call 911. PREPARE FOR AN EMERGENCY TODAY! Keep an emergency kit and supplies in your home, office and car. KEEP A SHOVEL AND ICE MELT handy for sidewalks and driveways. STAY AWAY FROM AND REPORT DOWNED POWER LINES to National Grid @ 1-800-465-1212. You can also check for power outages at National Grid’s their Outage Central Page. In the event of a major snowfall, local area schools may be closed. Please check your local TV listings or websites during a snow event for more information. Independent/Private Schools – contact the school directly. In the event of hazardous road conditions due to snow and ice, it may be necessary to suspend garbage and recycling collection in some or all parts of the City. If your garbage and recycling collection is missed, then crews will attempt to make the collection the following collection day or as soon as possible. Please ensure that your containers are not buried in snow.